A grinding noise in the neck can be a disturbing and even painful symptom of several underlying causative processes. However, the sound of grinding may also be completely harmless and insignificant. 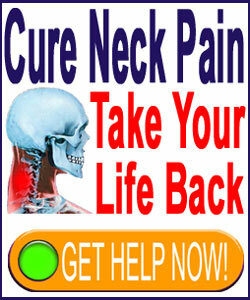 Many people hear popping, cracking, grinding or other noises upon moving their neck. Most report these sounds when turning the head side to side, although some might get them when looking up or down, as well. Grinding which is not painful is usually not significant, but if the sound is really noticeable or bothersome, it may be worth getting checked out by your doctor to be sure nothing problematic is occurring in the cervical spine. Pain which is elicited when grinding occurs may be more concerning and should always be evaluated by a professional medical provider. This essay will provide insights on why grinding sounds occur when turning the head, as well as when looking up or looking down. We will examine the relevancy of grinding noises and explain what can be done about painful neck movement. The overwhelming majority of grinding sounds reported are only audible to the person experiencing the symptom. In essence, while the affected person can hear grinding when moving their neck, no one else will be able to hear it. When the sound is actually loud enough to be audible outside the body, the condition should always be investigated by a doctor. Grinding noises are actually very common, especially as people get older. 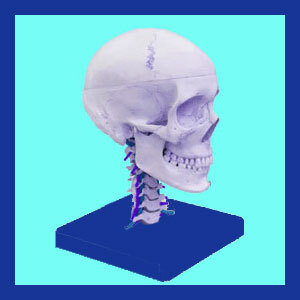 Joints can make noises for various reasons, but it is quite normal for the neck to make some noise when turning the head. Sharp noises experienced in tandem with acute pain, during particular ranges of movement, are never normal and must be reported to your physician immediately. If grinding is expressed in combination with neurological effects, such as tingling or numbness, even in the absence of pain, a neurologist should evaluate the condition. Grinding noises may be innocently produced through crepitus or cavitation. These are terms meaning noise generated by organic structures due to changes in air pressure in the joints or due to simple friction produced when anatomical parts move against one another. These are nothing at all to worry about. Grinding noises may be exacerbated by the usual degenerative changes in the spinal structures, including disc desiccation and osteoarthritis. Both of these processes are inherent to the neck anatomy in people past middle age and may exist in many younger patients as well. Below C4, the degenerative processes are very active and are usually extremely noticeable in patients past the age of 40. Arthritis can form bone spurs on the facet joints and on the vertebral bodies themselves, as well as create arthritic debris. These factors are known causes of grinding sounds upon movement and most are innocent events, although some may be highly problematic, causing mechanical pain or neurological effects. There is never a need to take chances with your health. If you are concerned over noise produced upon head movement, get it checked out. There is no harm in being safe. My own experience has taught me that patients who have been going to a chiropractor for a long time usually endure noises when turning the head. This has been reported to me by literally thousands of patients over the years, but may not be linked to any pain in most patients. I am not sure of the exact reason this occurs or its relevance in terms of the conditions being treated by their chiropractic providers. To understand more about why your neck may be producing a grinding noise, you can study the anatomy of the neck and see how friction and interaction between the various structures may produce these sounds. Bone spur interactions with vertebral bodies, joint structures or other spurs are certainly the most prevalent sources of painful grinding upon movement. Arthritic debris and normal spinal aging are the most common factors cited in creating asymptomatic grinding in the neck.